Buyers who want a luxurious home and wish to move in quickly should visit elacora in The Plantation at Ponte Vedra Beach. 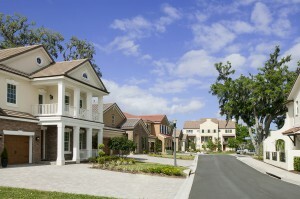 Due to high demand, elacora has launched a new collection of homes in Madeira at St. Augustine: the Serena Collection. elacora’s new showhome in The Plantation at Ponte Vedra Beach is completed, beautifully decorated and ready for tours. Due to its unique location, Madeira at St. Augustine offers homeowners and golf enthusiasts the best of all worlds. “We are located at the northern boundary of St. Augustine in St. Johns County in close proximity to many golf courses, including the famed Players Stadium Course at TPC Sawgrass and the World Golf Village courses,” explained Victoria Robbins, exclusive agent for elacora Northeast Florida. Old San Jose on the River is offering a special, limited-time incentive for the buyers of the last five new condominium residences for sale. The popular riverfront community of Old San Jose on the River is building on its success and expanding to meet the market’s growing needs. Construction is underway on two new condominium buildings, each containing only three residences, which will be complete in the spring of 2015. Construction is underway on an exquisite riverfront, single-family custom home with a one-of-a-kind opportunity for its buyer at Old San Jose on the River. Old San Jose on the River has special pricing available on two condominium residences for sale. One condo is move-in ready; the other will be complete in August.